4K Footage of woman's hands are selection clothing in the shop. 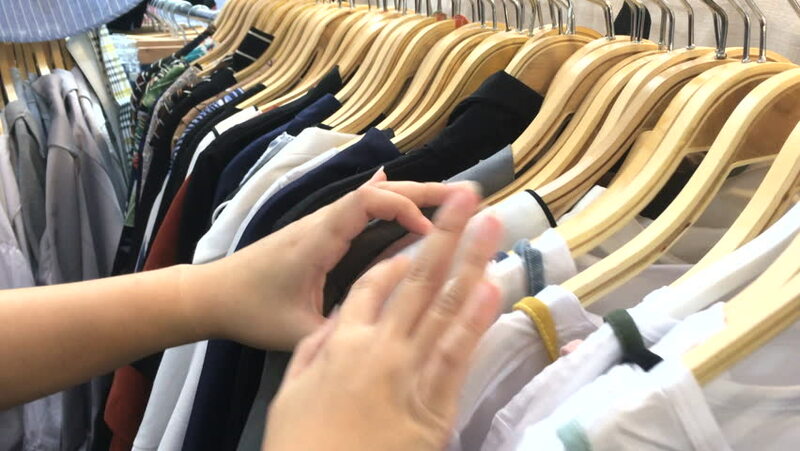 4k00:26Close-up of woman's hands run across a rack of clothes, browsing in a boutique. hd00:16A man putting beachwear clothes on a drying rack or dryer. Medium shot. 4k00:06Shopping concept. Woman choosing dresses during shopping or being in wardroom at home.